Yammer offers you several options for a full and robust profile, if that is something you want. You can remain as basic as listing your name and job title, or get as specific as adding your kids’ names. The choice is up to you. Accessing your profile options in easy. Log into your Yammer account. 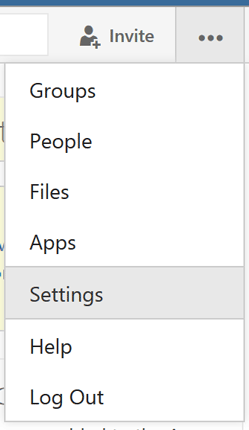 Click the More button and then choose Settings from the drop-down menu. These are not all required fields. You can be as specific as you choose about how much you would like to share on Yammer. Just remember, this is not Facebook. Yammer is a workplace solution, so keep your posts and information work appropriate.